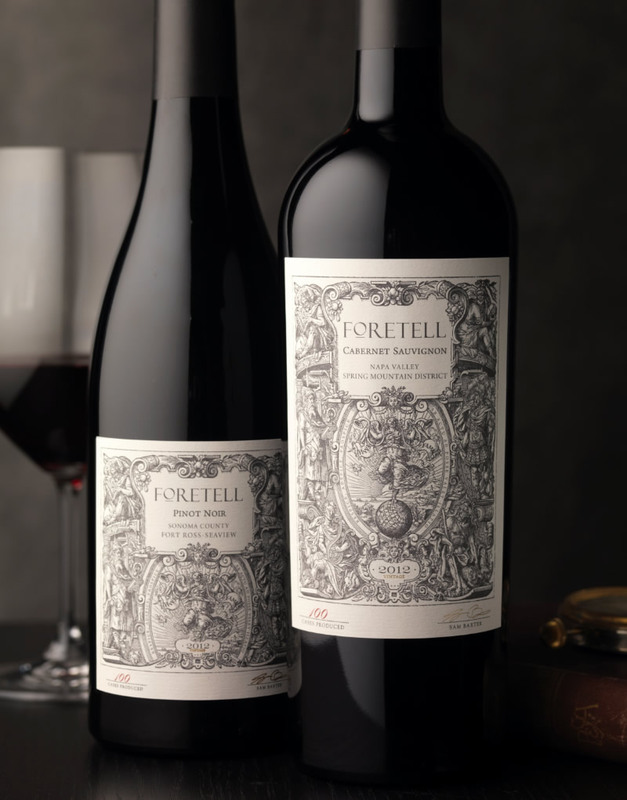 Sam Baxter of Terra Valentine came to CF Napa to develop a new line of limited production wines under the brand name Foretell. 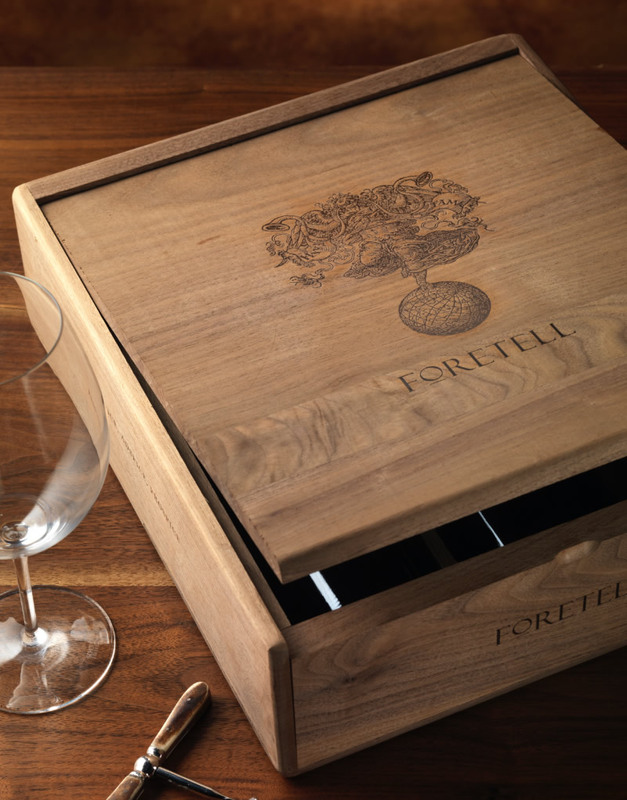 The winemaker sought to capture his own winemaking journey, the knowledge gained from those before him and the foresight to see what lay ahead. 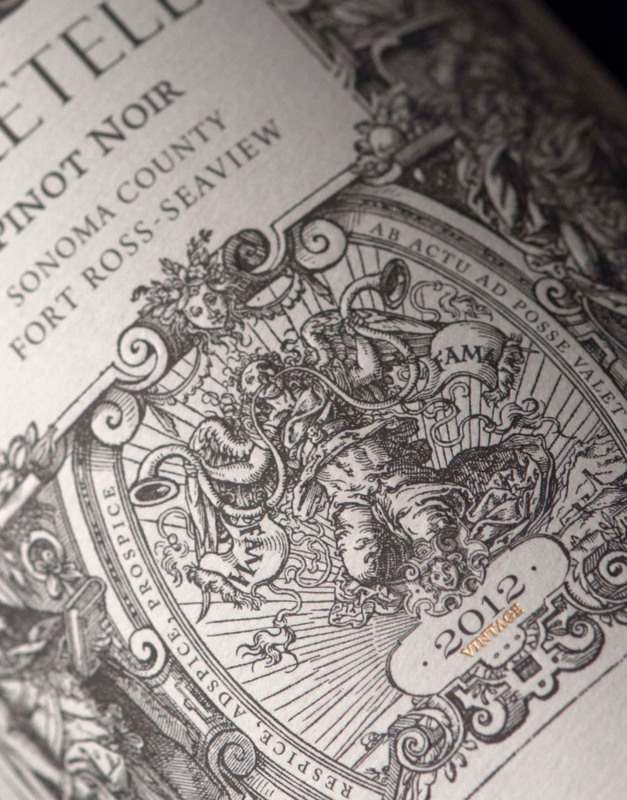 The name spoke to the winemaker's challenge of foreseeing the potential of each vineyard, the grapes, and the proper blend to create these exceptional wines. 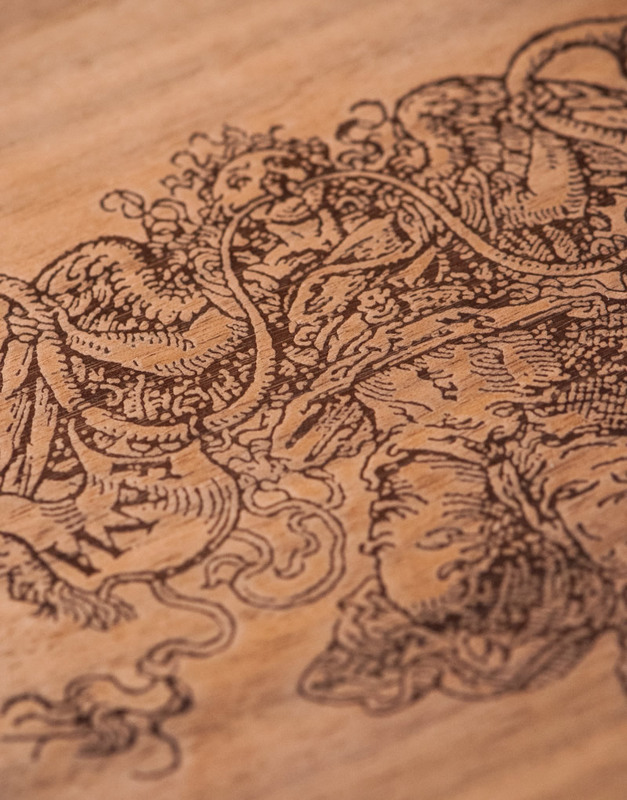 Our illustration was sourced from old engraving that evoke the mythical and Nostradamus-like feel of the labels. Hidden in each label is the Latin phrase: Respice, adspice, prospice - Examine the past, examine the present, examine the future.